Mr Burdon has had a distinguished career across the fields of law, business, and politics. He graduated in law from Canterbury University, working initially as a lawyer and law lecturer before moving into the private sector in 1970 with the establishment of a highly successful food processing company. He is a leading member of the New Zealand business community, holding positions on the boards of several New Zealand and Australian corporates. These include Chairman of the Board of Superannuation Investment Ltd and MFL Mutual Funds Ltd; Deputy Chairman of B.I.L. Ltd, Director of IAG NZ Ltd. 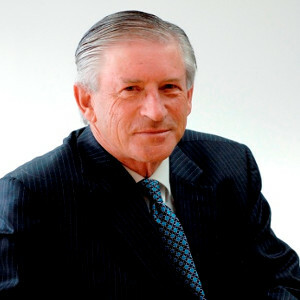 In additional, Mr Burdon has pursued his interest in New Zealand’s relationship with the Asia-Pacific region as Chairman of the Asia 2000 Foundation (1996-01), Chair of the APEC Business Advisory Council (1999) and member of the International Advisory Board for Hong Kong Policy Research Institute. He has recently returned as Chairman of the Asia New Zealand Foundation (previously known as Asia 2000 Foundation). His political career began as the centre-right National Party member for his local electorate in 1981. He was appointed to the New Zealand Cabinet in 1990, and held a number of senior Ministerial portfolios including Minister of Commerce, Minister for State-Owned Enterprises and Minister for Trade Negotiations, until his retirement from politics in 1996. Highlights of his Ministerial service included leading New Zealand’s successful negotiations through the various stages of the GATT Uruguay Round, and helping build New Zealand’s relationships with Asian trade partners. He represented New Zealand as Trade Minister at important milestones in the development of APEC: the first meeting of APEC economic Leaders on Blake Island in 1993; the Bogor Declaration of 1994; the Osaka Action Agenda of 1995; and the Manila Action Plan for APEC adopted in 1996. Mr Burdon also made a significant contribution to the planning and implementing of New Zealand’s domestic economic reforms over the past decade. As Minister for State-Owned Enterprises, he dealt with complex commercial and regulatory issues in putting former state trading operations onto a commercial footing. The various State-Owned Enterprises, now worth around NZ$15 billion and employing more than 17,000 staff, include sectors such as electricity, postal services, air traffic control, coal, property and meteorological services.